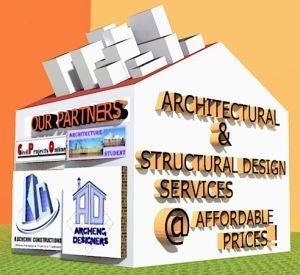 Civil Projects Online, Architecture Student, Archeng Designers and Kachchhi Constructions have announced Architectural, Structural and Interior design services online. They are big group of Architectural, Civil Engineers, Interiors Designers, Architectural assistants, CAD technicians and graphics designers. They are also providing services to help architecture students with their thesis projects by giving them guidance. It is now possible to talk to the architectural experts online via skype. Students have been showing great interest in this service. Designing anything and everything from small products to large townships.